Michael Shay's Hummingbirdminds: Christian, Jewish and Muslim views of Noah and the flood Monday at "Bibles and Beer"
"Bibles and Beer" on Monday, July 11, 5:30 p.m. at Uncle Charlie’s Grill & Tavern in Cheyenne. Happy hour Bible study... inviting all open-minded over 21 persons interested in learning what the Bible says! 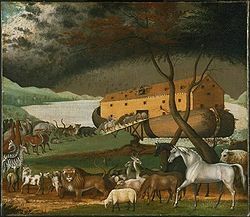 We are talking about Noah and the Flood...the Christian view as well as the Jewish and Muslim. Join us! Look up Rodger on Facebook and RSVP.